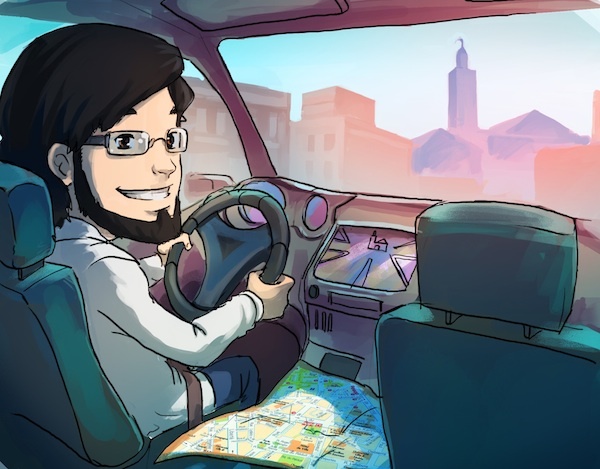 The Muslim Geeks – A blog for techy muslims » The ultimate way to find nearby mosques, prayer rooms and nearby masjids! The ultimate way to find nearby mosques, prayer rooms and nearby masjids! A while ago, an idea poped into my mind because of a recurrent problem I had. I needed to know: What is the reference website, mobile app or whatever way to find the closest masjid around? You see, for muslims living in non muslim countries, we don’t hear azan or any call to prayer. Which makes it difficult for us to find mosques. Say you are travelling for the weekend to a remote city. Or, you are on a business trip for a bit longer than that. Ideally you want to know where is the nearest mosque to your accommodation! By then I just knew a few websites, not really up to date with confusing layouts and which databases were limited. This is when I said, we muslims, need to know exactly at any given location, where we could pray decently without having to lay our prayer rugs randomly here and there. Some service that simply and swiftly answers the question. The project www.goMasjid.com was born! It needed to simple, but yet complete. It had to cover the whole globe, map it, and present the information in various ways (mobile/web). At any rate, the project merely reached some 20% with a database of 900 mosques and then for personal reasons, I didn’t make much progress after that. Months later, I was randomly checking stats for www.gomasjid.com and I was shocked when realizing my sole landing page for the project was in the first page for terms like ”locate masjids”, “locate mosques” etc… People are dying for google’s first page! I must revive the project I said! When I picked it up again, I realized some brilliant brothers/sisters, in the mean time, came up with a well executed website it is called www.findmymasjed.com. Their database features a massive 664201 masjid locations of around the globe. And it seems the plan is to open this database to mobile users ( iphone and android). My objective is not to enter into any competition but to reach the goal for the ummah so that we have a reliable tool. So let us help our brothers/sisters behind this project growing their database inchaAllah! Because basically anyone of us can, in a matter of minutes add the local mosque he goes to. FindMyMasjed definitely rocks a massive database of mosques, however it doesn't grow very fast... I'm not sure if it's the brothers/sisters of our community that care less about guiding other to their masjed or is it a weak web marketing from the findmymasjed team. I really like halalmaps.com. It has sources of halal food as well as musallas and mesjids with useful information like khutba language. Thanks for sharing! the idea is indeed the same, the execution is very good. The real differentiator is I guess the database. I have tested major US cities and it's quite good, however if you try in europe or so the database there is unfortunately not as good. I hope one day we'll be having a good and relieable way to find mosques and masjids inchaAllah. Islamic infographics on the religion of islam, cool and creative stuff! Why would your smartphone be a very useful companion for you as a muslim or muslimah? admin : Great job! MashaAllah!